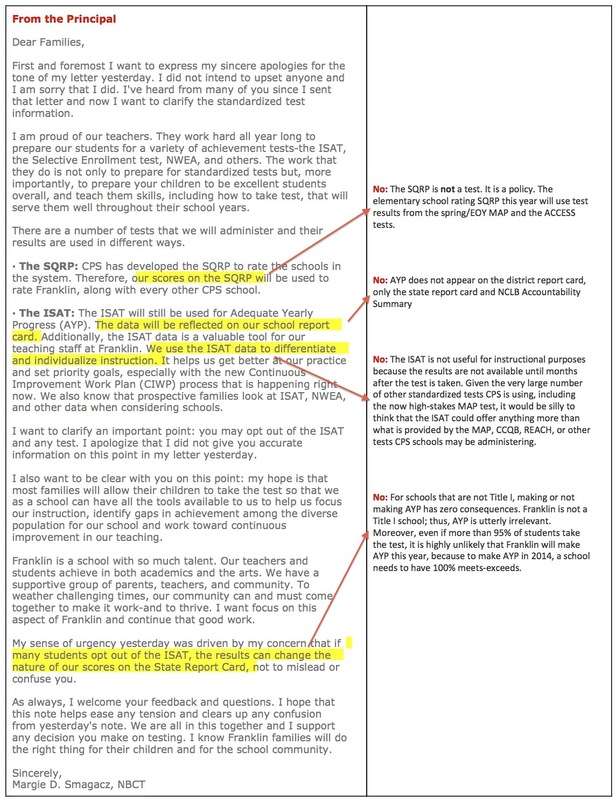 Franklin Fine Arts principal Margie Smagacz sent a letter to parents today with extensive misinformation about the upcoming ISAT and the consequences of opting out. Parents opting students out and students refusing the test will not have negative consequences for a school. First, for schools that are not Title I, making or not making AYP has zero consequences. Franklin is not a Title I school; thus, AYP is utterly irrelevant. Moreover, it is highly unlikely for the vast majority of schools to make AYP this year, even if more than 95% of students take the test because to make AYP this year, a school needs to have 100% meets-exceeds. In addition, the ISAT is not (and frankly has never been) useful for instructional purposes because the results are not available until months after the test is taken. And even if they were useful, given the very large number of other standardized tests CPS is using, including the now high-stakes MAP test, it would be silly to think that the ISAT could offer anything more than what is provided by the MAP, CCQB, REACH, or other tests CPS schools are administering. The SQRP is *not* a test. It is a policy. The elementary school rating this year will use test results from the spring/EOY MAP and the ACCESS tests. Full policy here, and powerpoint version here. 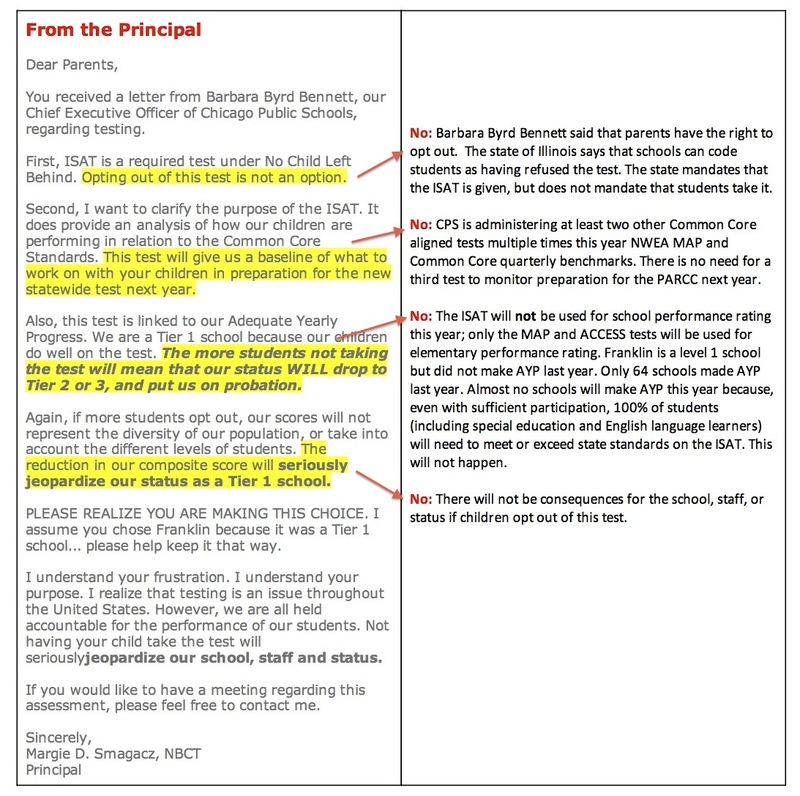 For more information on the utter failure that NCLB and state-mandated, test-based accountability measures, we recommend reading the US Department of Education’s own words.